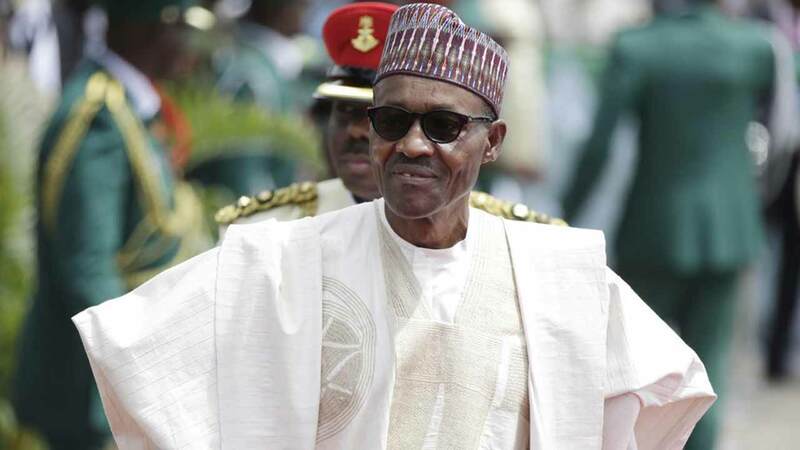 Once again, in their demonstration of unwavering tenacity and cautious optimism, Nigerians have joined public office holders, the ruling party and friends of the country in congratulating President Muhammadu Buhari’s administration as it marks its second anniversary today. This administration has weathered the storm of pessimism, vacillation and inertia, on its democratic journey to achieve some definable goals. As always, regime landmarks like this afford Nigerians an opportunity to reflect on and frankly evaluate the first half of the Buhari administration. 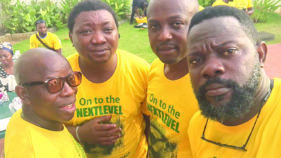 But rather than being celebrated as a day to reel out modest achievements of the administration, today should remind Nigerians of the problems that have befallen the country, and how they can be resolved. Nigerians should reflect on the needed re-organisation of various national institutions so that the country can move forward. Since the inception of this political dispensation, Nigerians have had high hopes about the change which the ruling party proposed as its agenda. Two years on, Nigeria is still grappling with the glaring profligacy of public officials, widespread insecurity, weak institutions, dwindling economic fortunes and insensitivity to the people’s plight, problems which were inherited from the past administration. 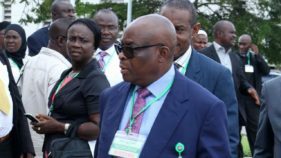 However, the steady progress witnessed in the fight against corruption got a boost with the appointment of Justice Onnoghen as the Chief Justice of the Federation. It is gratifying to note that the same gusto with which the anti-corruption crusade was instituted is still being sustained by officials in charge. Just as the score-card of the administration’s first anniversary revealed, the effect of the ongoing arms deal probe is also yielding positive results. Beside the morale boost in the Nigerian Armed Forces, the release of another set of Chibok girls was a cheering highlight of this administration. Whilst the last year saw President Buhari taking a medical vacation to attend to his health, perceived discontent amongst political rivals was strategically contained. Though many had thought his absence would result in political disarray, the confidence Buhari reposed in his deputy, Vice President Yemi Osinbajo, yielded result. Osinbajo demonstrated utmost loyalty to his principal and to the people of Nigeria as he deployed youth, intellect and genuine communication strategy to the smooth running of the country. The effect was renewed confidence in the economy and understanding within the polity. Although impressive inroads have been made in the fight against insurgency in the North east, there is also the threat of alleged herdsmen wreaking havoc and causing mayhem everywhere in Nigeria with the same impunity and murderous intensity as the Boko Haram. With a more devastating geographical spread amongst non-Fulani and non-Muslim communities across the country, the herdsmen sack villages, destroy farmlands, kill and maim innocent people who come their way. This is a serious indictment on an administration that vowed to end insurgency, protect lives and property of citizens, and make the country safe for all. Its demonstration of readiness as symbolized by the re-organization of the military is contrasted by the liberty coveted by the herdsmen to wantonly carry out their harvest of carnage. In the second half of this administration, Nigerians want the government to allay their fears, and make frantic efforts that would ensure genuine integration. They want to be re-assured of a country that has not been appropriated as the heritage of any power bloc or ethnic group. As this newspaper also stated before, there is an urgent need to call the nation’s legislatures at all levels to order. With the exception of a few state legislatures, the National Assembly and the State Houses of Assembly, in the last two years, have remained clueless about their mandate to serve the people. Legislative chambers have become arenas of war between opposition and ruling parties. Devoid of a clear political roadmap and a workable economic blueprint, state governments are at a loss about any form of sustainable development for their people. So tragic has been their handicap that payment of salaries is still considered an achievement. With governors carrying on as autocrats, lawmakers bereft of the law are engaging one another like motor park touts, and those in the judiciary are desecrating the temple of justice. Certainly, it seems the hang-over from years of military misrule still haunts the political elite. And it is true to assume that the machinery of democratic government has not really worked as it should. Despite the modest achievements, one sore point is the recent rumour of a coup attempt. As the rumour and the reactions to it have established, unpatriotic soldiers in collaboration with unscrupulous politicians were planning to sack this democratically elected government. There is everything wrong with any contemplation of military intervention at this time. Within the context of a trending global culture of democracy, there is forceful undesirability of coup d’etat. Apart from its ill repute as a system of political leadership in today’s global politics, the military administration has done more harm than good in Nigeria. Their hackneyed narrative which adduces widespread corruption as a justification for sacking legitimate civil governments has also become the bane of that establishment. Since that 1966 coup which was targeted at addressing the socio-economic and political imbalance allegedly caused by corruption amongst politicians, there has been so much mutual influence between politicians and the military that it is difficult to see how the military, as it is, can address the complex problems of Nigeria through a military coup. The effect of coup on Nigeria’s collective consciousness informs Nigerians that the military has no right to preach good governance. The recuperation from the affliction of 24 years of military dictatorship is painfully slow because the corruption, which the military sought to fight, was so reinforced by the junta that it emasculated the political psyche and became injurious to the dictates of just reason. The utter disregard for the rule of law and the impunity, which Nigeria faces today, have had the military as a causative factor. The coup of 1966 was a crack on the political edifice called Nigeria. If a crack is not well-patched, it would continue to re-appear. The crack of 1966 has continued to re-appear in the daily lives of Nigerians today. Just as the military junta undermined the capacity for rational engagement of political units, it also created amongst the political class a buccaneer mentality and booty-sharing tradition that are now evident in the selfishness, mindless exploitation and insensitivity of a greater percentage of the present political elite. Again, as recent events have shown, the most celebrated case of corruption recorded so far relates to the military. This act weakens the military establishment and needlessly put soldiers in bad light. Yet, no one would doubt the role of the military in national security. Despite daunting circumstances, Nigerian soldiers have displayed admirable efforts, commitment and valour in the fight against terrorism and insurgency. These are gratifying gestures suggesting that given a well structured polity, the military would be responsive to their core duty of protecting the country rather than dabbling into politics. Being a day commemorating the triumph of the civil government over the pernicious regimes of the junta, May 29 should enable Nigerian politicians to also reflect on what it means to conduct credible elections. Apart from elections being free and fair, their credibility also has to do with their affordability. 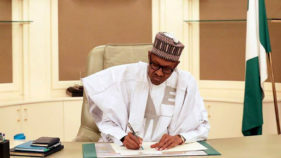 As the administration enters the second half of this tenure, it is expected that politicians would be engrossed in election preparations for the next political dispensation. However, it would save the economy and uphold the dignity of well-meaning Nigerians if politicians would resolve to conduct elections the nation’s economy can afford. Given the resources at the nation’s disposal, addressing all these problems is not beyond grasp. Talents, resources and nature’s endowment abound everywhere in this country; and they are not only enough to sustain the needs of the people there, but also abundant to contribute to the nation’s pool of self-reliance. Events in the last few months have shown that a government that treats public opinion as feedback for good governance, and sincerely act to address the yearning of the people, is more likely to achieve political stability, national security and economic respite than a government that does otherwise. It is hoped that in the next half of this administration, Nigerians shall witness a leadership that would be sagacious enough to listen to the pulse of the nation, understand the people, and be committed to take the bold but painful step of restructuring the country for integral development.